How To Use SMD Components? SMD components are small and kind of scary if you have never used them before. And the first time you want to solder one – you will probably start to doubt if you’re actually able to do it. Even though I have soldered many SMD components, I still get that “Oh man, that component looks tiny!”-feeling. But usually, it works out fine. As long as it’s not too small. 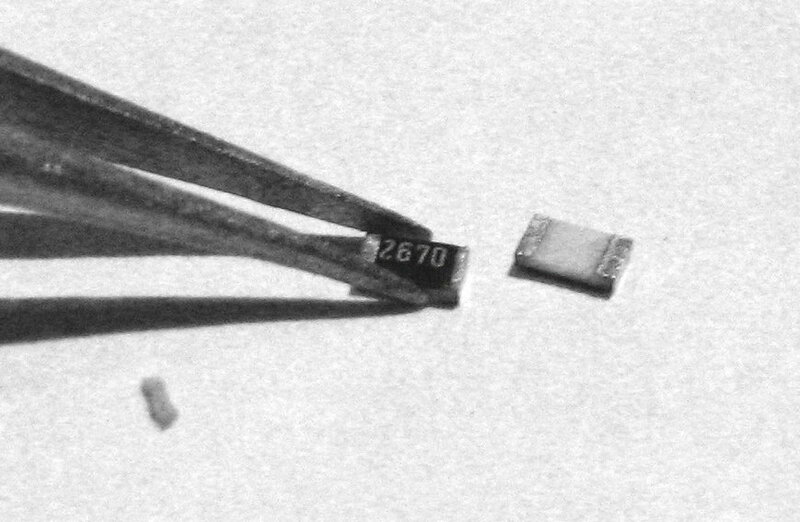 SMD is short for surface-mount device. I always get a bit confused about the terminology, but I think SMD describes a printed circuit board, with components that are mounted on the surface of the board. So an SMD component is actually a surface-mount device component. According to Wikipedia, the correct term for a component is surface-mount component (SMC). But I have never seen the term SMC been used before. SMD components can take up much less space than the traditional through-hole components. So most of the modern technology today is made with SMD components. With the surface mount technology, it’s also easier to mass-solder. You can solder a circuit with SMD components by baking it in an oven. A lot of the new integrated circuits, are only available as surface mount. Standard resistors and capacitors come in sizes that are called for example 1206. Or 0805. The first time you want to play around with soldering SMD components, I would suggest to use 1206 packages. They’re fairly easy to solder. But when you feel more brave, I’m sure you’ll be able to handle 0603 packages. Or maybe even 0402! How To Solder SMD Components? 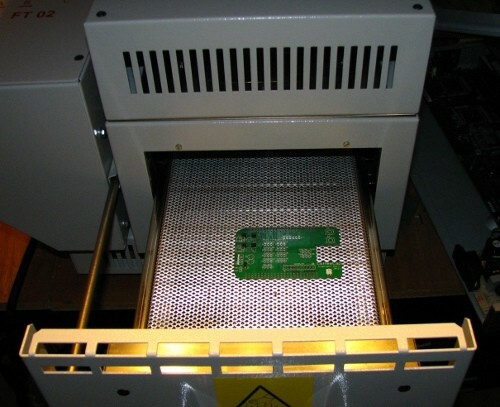 You can solder SMD components either using a soldering iron, or using a reflow oven. To solder with a reflow oven, you place solder paste onto the pads before you place the components. Then you place the board in a reflow oven, which melts the solder paste and fastens the components. This is the way professional electronics are made. Reflow ovens are usually very expensive. But there are some cheap DIY solutions also, as I mention in my reflow soldering guide. But you don’t need a reflow oven to solder SMD components. 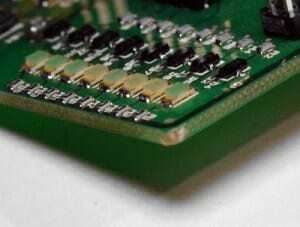 In my guide – «SMD Soldering With a Soldering Iron» – I show you how you can do SMD soldering with a simple soldering iron.